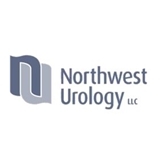 Northwest Urology (Portland) - Book Appointment Online! Our Values Integrity. We will conduct all of our activities in an honest, open, and ethical manner. Excellence. We strive to provide the highest degree of patient care by continued education, evaluation, and challenging ourselves to better the status quo. Respect. We believe in the inherent dignity of each individual and will treat others in a way that we would want to be treated ourselves. Knowledge. We will use the most compelling data to direct the care we provide and strive to educate our patients so that they may be partners in the healing process. Understanding. We will seek to know the whole patient, tailoring their care to achieve the best outcome for the individual. Success. We will provide an environment of encouragement and support so that all may reach their potential and together we may live our mission statement. Dr. Janoff was gret. Best urology experience to date. Good attitude, and knows how to crack a joke to ease tension around an issue that seemed more serious prior to the visit.